Fall is in full swing and there are plenty of fresh fall foods to try now that the leaves are starting to change color. Here are five fabulous types of produce to try this fall that go way beyond pumpkin. Looking to level up your fall food game, but want to keep some of the light, fresh feeling of summer? Like many other gourds, spaghetti squash is in season late in the year, but is unique texture that shreds like spaghetti once it’s cooked really sets it apart. To prepare, cut the squash in half longwise and scoop out the seeds. Brush the cut edges with oil and roast at 425 degrees F for one hour. For a quicker fix, place the cut and scooped squash face down in a casserole dish in an inch of water and microwave for 5-7 minutes. Shred the squash with a fork when done. 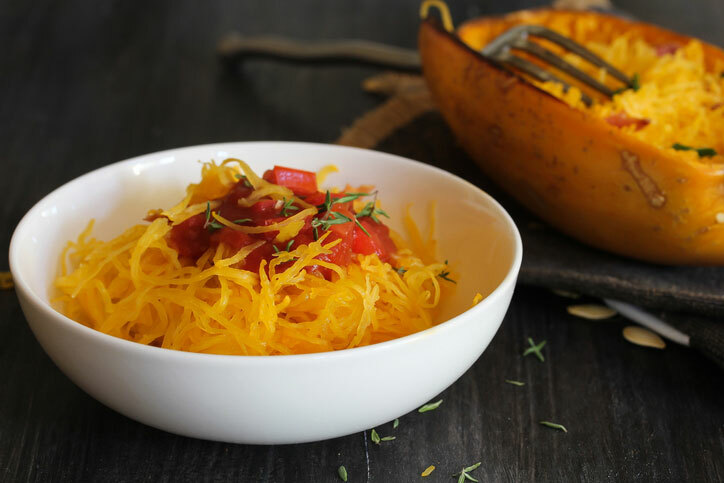 One cup of cooked spaghetti squash contains 42 calories and 2 grams protein, and can be used in places of traditional spaghetti or pasta for a base in many Italian or veggie dishes. Pears come into peak season during fall and winter. Pears are among the highest-fiber fruits, with a large pear providing 7 grams of fiber and 130 calories. If you’re wondering how to test for ripeness, USA Pears recommends you “check the neck.” To do this, use your thumb to gently press near the stem. If the pear yields to gentle pressure, it’s usually ripe, juicy and ready to eat. 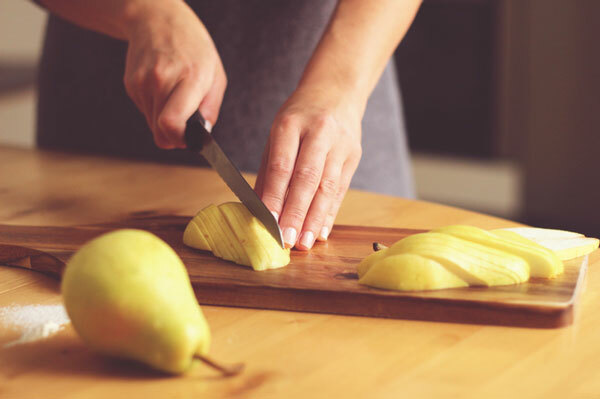 You can prevent browning in cut pears by adding juice from oranges, limes or lemons; the vitamin C in the citrus acts as an antioxidant that helps prevent browning when the pear flesh comes into contact with oxygen. Persimmon season is short (September to December), but sweet! Almost all of the persimmons produced in the U.S. come from California. Persimmons are ripe and ready to eat when you find fruit with bright orange and red-colored and smooth skins. Whenever possible, look for fruit with the leaves are still attached. 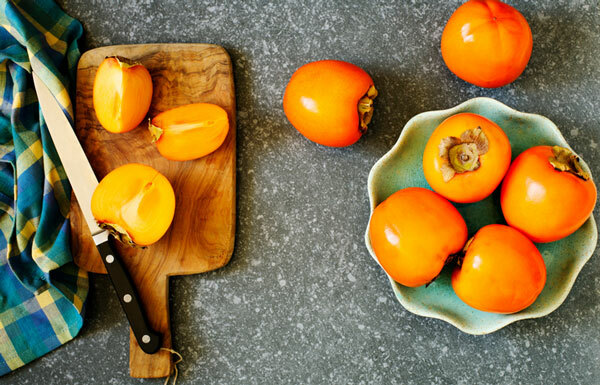 Hachiya persimmons are used primarily in baking, but you can eat the Fuyu variety raw or toss them into salads or a stir-fry. Try swapping out tomatoes in favor of Fuyu persimmons to put a fall twist on your favorite salsa recipe. Brussels sprouts look like baby cabbages, but tend to have a milder flavor than their cruciferous vegetable counterparts. They generally require cooking to achieve tenderness, but a shaved Brussels sprouts salad is another great way to enjoy this fall food find. 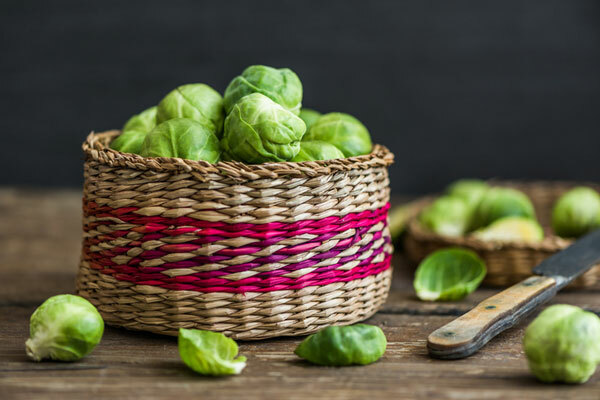 To prepare, remove the bottom and outer leaves and shave the Brussels sprouts using a mandoline or food processor, or slice very thin using a knife. Add olive oil, lemon juice, salt and pepper, toss with shredded Romano cheese and top with toasted pine nuts or pistachios to finish off this simple salad. If you prefer to sample cooked Brussels sprouts, here’s a helpful tip: Cut an “X” shape into the bottom after cleaning to help cook evenly. One cup of Brussels sprouts contains 75 calories and 3 grams fiber. Figs are a unique fall find because they really aren’t even fruits. According to , the fig is actually a flower that is inverted into itself. The fig seeds are drupes, which are the real fruit. And another fun fig fact: Figs are the only fruit that fully ripen and semi-dry while still on the tree. 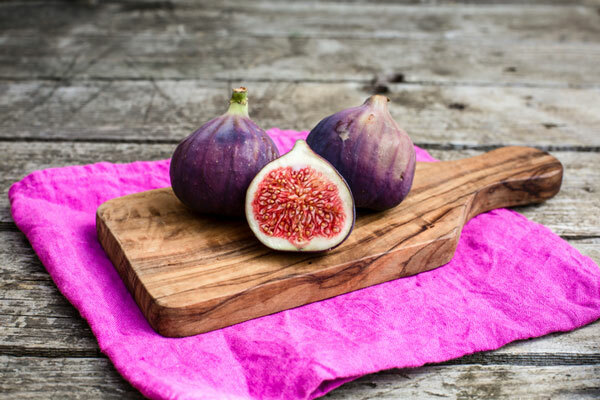 One large fig contains 47 calories and 2 grams fiber. They taste great sliced and enjoyed on their own, or pair them with goat cheese and a touch of honey atop a whole grain cracker for an easy appetizer for fall.